Nobel peace laureate Aung San Suu Kyi held talks with The Prince of Wales and The Duchess of Cornwall late last week. The Burmese opposition leader met Their Royal Highnesses at their London home Clarence House in the latest stop on her tour of Britain, her home for many years. Ms Suu Kyi arrived in a chauffeur-driven Range Rover and stepped from the car to be greeted by The Prince and Duchess, who were standing on the steps of the historic building. The Prince shook hands with the pro-democracy campaigner and shared a few words before The Duchess welcomed their guest and chatted for a few moments. 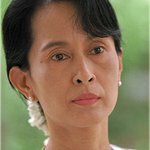 Ms Suu Kyi is on a four-day visit to the UK as part of a European tour, the first time she has ventured outside Burma in 24 years. She has close connections with Britain having read philosophy, politics and economics at St. Hugh’s College, Oxford, between 1964 and 1967, before settling in the university city with her late husband Michael Aris, a Tibetan scholar. In July 1989, around a year after her return to her homeland to care for her mother, Ms Suu Kyi was placed under house arrest by the ruling military which feared the influence of a woman whose father was instrumental in gaining Burma’s freedom from British rule. She remained there for much of the next 20 years, finally being released in November 2010. Her husband died of prostate cancer in 1999 at the age of 53. He had asked the Burmese authorities to grant him a visa to visit her one last time, but was refused. The Prince knew Mr Aris and the year the scholar died he became Patron of the Michael Aris Memorial Trust for Tibetan and Himalayan Studies. Their Royal Highnesses and Ms Suu Kyi talked for about 40 minutes before emerging into Clarence House’s garden for a tree-planting ceremony. They walked over to a new bed where a tiny black tulip magnolia sapling was waiting. The drizzle which had been falling earlier was replaced by bright summer sunshine. Ms Suu Kyi used a spade presented to The Prince’s grandfather, George VI, after he planted a number of trees in South Africa during a tour in 1947. As she finished, The Prince touched the tree for good luck and then pointed out a nearby spectrum magnolia tree planted by the Dalai Lama in 2008. The exiled Tibetan spiritual leader held talks with The Prince earlier in the week and showed his affection for The Prince by tickling his chin and describing him as a good human being. 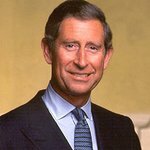 More than 50 of The Prince’s royal household staff stood nearby and he made them laugh by saying: “Is nobody doing anything in the office today?”, before turning to his guest and adding: “They are all pleased to see you”. The Prince and Ms Suu Kyi have another connection apart from his links to her late husband. Lord Mountbatten, The Prince’s great uncle, and the campaigner’s father, General Aung San, were involved in important events leading up to Burma’s independence from British rule. As supreme allied commander of South East Asia Lord Mountbatten held negotiations in 1943 with Aung San, Burma’s war minister, who switched his country’s military allegiance from Japan to Britain and helped the Allies defeat the Japanese in his homeland. The general went on to play a crucial role in Burma becoming an independent nation before he was assassinated in 1947, months before independence was realised.